I am very happy to see that one of America's greatest actors is finally starting to get some love on Region 1 DVD. 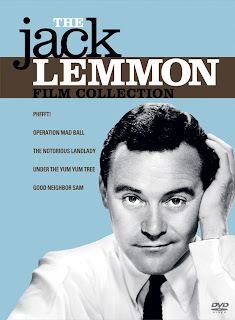 This set, coming in late June, is one of the first of hopefully several highlighting some of the long unavailable films from the late great Jack Lemmon. While the titles are perhaps minor, I am thrilled to see that the very funny Pffft (in which a young Kim Novak can be seen), and the underrated Under The Yum Yum Tree and The Notorious Landlady (also featuring Novak) are appearing. I'm also pleased that the six disc set will also include extras, like a documentary on the much missed Lemmon and an episode of the Ford All Star Theater. When asked to name my favorite all time actor, Lemmon's name is one of the first ones that come to mind and I can't wait for this set...now if someone would just release The April Fools on disc. Recorded at Sheffield’s Yellow Arch Studios in the early part of 2004, the self titled album from a A Girl Called Eddy is one of the great under the radar LPs of the decade, and stands as one of the best debut records in recent memory. The brainchild of New Jersey born singer-songwriter Erin Moran, the achingly triumphant A Girl Called Eddy recalls the best of Bacharach and David while successfully alluding to everyone from The Carpenters to My Bloody Valentine. Released on the independent label Anti Records, an offshoot of Epitaph, in August of 2004, the meticulously moody and at times miraculous A Girl Called Eddy is made up of eleven masterful compositions all from the pen of Moran. Essaying heartbreak, loneliness, frustration and finally redemption, Moran and producers Richard Hawley (Pulp’s brilliant guitarist) and Colin Elliot’s collaboration is simply put the Dusty in Memphis for this decade but for some reason the album, despite no small amount of acclaim, failed to catch on in the fall of 2004, and Moran’s project remains sadly unknown by the majority of modern music fans. Armed with kudos from everyone from Robert Smith of The Cure to Nina Persson of The Cardigans (not to mention Burt Bacharach himself), as well as four and five star reviews from nearly every British music publication that reviewed it in 2004, A Girl Called Eddy should have fit nicely among the big selling sixties pop revivalists who have carved such a niche for themselves this decade, but Erin Moran’s charms perhaps proved a bit too subtle for most modern music fans. Opening with the gorgeous and heartbreaking “Tears All Over Town”, a song worthy of the best Brill Building classics you care to name, A Girl Called Eddy never makes a wrong move in it’s classic L.P. running time. “Tears All Over Town” sets the tone for the rest of the album perfectly, with Moran’s unforgettable vocals being balanced perfectly with Hawley and Elliot’s wonderfully effective production and side playing. The song, climaxing with the slyly bruising, “I know that I loved you, but I loved you in vain.”, is a classic opening and the perfect introduction to Moran’s musical landscape. 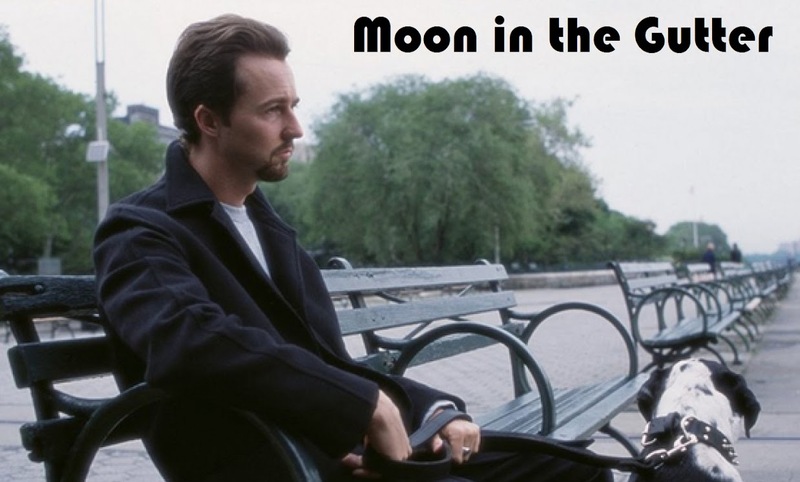 It is no coincidence that it was this song that introduced A Girl Called Eddy to the music community (Moran had previously only played and sang background briefly for Francis Dunnery) when it was released as the title track on a 2001 E.P. “Kathleen”, the first of half a dozen tracks offering up an exquisite string backing, reminds me a bit of one of Francoise Hardy’s startling creations from her early seventies period. Thoughtfully morose and slyly provocative, “Kathleen” is a masterfully moody track punctuated by a distant horn in the background and Hawley and Elliot’s wonderfully skilled and inventive production chops. The lyrically striking “Girls Can Really Tear You Up Inside” recalls the savageness of Costello’s Imperial Bedroom period, and it’s relatively relaxed musical backing gives it an added layer of subtext and emotion…like a Sunday walk in the park with your lover just before you break their heart. The strings are again used incredibly well and Colin Elliot’s late use of the mellotron is just lovely. After the quiet and at times chilling “Somebody Hurt You”, the album’s longest and perhaps most stunning moment follows with the jaw dropping “People Used to Dream About the Future”, one of the great songs of the decade. 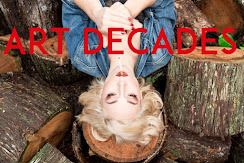 Here Moran’s voice shows surprising explosiveness, with the stunning mid song question of “Where did it all go?” offering up the kind of go for broke moment young artists rarely have the skills to achieve. Recalling Karen Carpenter in her prime (with a nice nod to vintage Streisand as well) Moran’s vocal work on “People Used to Dream About the Future” is simply stunning, and the soaring string section is wonderfully orchestrated. It’s the kind of perfectly crafted pop song that artists sadly just don’t attempt anymore. Opening with a snippet of Bacharach’s “Close to You” on Moran’s piano, “Heartache” is one of the most minimal tracks on the record, with Elliot particularly shining on vibes. “Heartache” is lovely stuff and probably could have been some sort of torch song standard had it been written forty or fifty years ago. Sounding like a German Cabaret number played by The Bee-Gees circa Odessa, the eerie and oddly majestic “Life Thru The Same Lens” is the album’s strangest creation. It’s also one of the best, with Andy Cook’s drums providing a solid backing to one of Moran’s most off-kilter compositions. Moran’s own backing vocal flourishes are particularly well placed, and Simon Stafford’s closing horn playing is perfectly fitting for such a strangely moving off the wall song. Things get quiet again on “Did You See The Moon Tonight”, one of the album’s most mysterious sounding tracks. With a wide-awake narcotic feel punctuated by Hawley's wonderfully dreamy Hawaiian Steel guitar playing and Moran's drenched in echo vocals, "Did You See The Moon Tonight" is simply mesmerizing. A Girl Called Eddy’s final track is its most hopeful. Clocking in at a near epic six minutes, “Golden” finds Moran reminding herself that she doesn’t “need to die just to see” that life is already quiet wonderful. Alternating between near silence and the band playing at full force with Hawley’s shimmering electric guitar out front, the song is an ambitious and masterful closing to an equally ambitious and masterful debut LP. The album would be greeted by universal acclaim when it was released in Britain in 2004. Mojo’s four star review called Moran a remarkable songwriter and noted that the entire album was “steeped in 60s classicism.” Q applauded Moran’s “sweetly painful love songs” in their four-star review and Uncut noted that Moran exhibited “gorgeously gauged soul and shrewdness” in her singing and writing. The album was mostly ignored in its stateside release though and was unfairly lost in the shuffle, the fate of many great albums from the past by uncompromising and individualistic artists. A Girl Called Eddy is still thankfully in print and Moran is reportedly at work on the follow-up. Whether she can top her debut remains to be seen but I can’t wait to listen to what she delivers next. In the meantime, search out the sublime and moving A Girl Called Eddy. Once heard, its best moments will rarely leave your waking thoughts and Moran’s voice will haunt your dreams. This is the first of three, and possibly four, Michael Mann films that will eventually appear in this series. For more on this astonishing film, may I recommend you searching out the now rare Video Watchdog #13 as well Taschen's beautiful book on Mann written by F.X Feeney. I would also recommend this terrific post by J.D. at Radiator Heaven. Since his debut as a feature length filmmaker in the late seventies, Michael Mann has been one of the most distinctive and fascinating directors in American cinema. His greatest films have endured long after many more critical and popular favorites by lesser directors have long faded away, and even his missteps have proven much more interesting than perhaps first imagined. In an attempt to try and kick Moon in the Gutter off auto-pilot, I am hosting a new director's poll that I'd like everyone to participate in based on Mann's feature length films. His newest, Public Enemies, is one of the most anticipated films of the year and the timing seemed right. So, vote for your favorites and we'll tally up the results in the next week or so. Honestly neither one do real justice for the sometimes surreal and always moving film, but they are both still quite effective. One thing that struck me capturing these stills is that every shot in this film screams Brian De Palma. Had I never seen the film, I would still be able to immediately name who directed it just from these ten shots without problem. Femme Fatale will no doubt be one of the most controversial choices for this series, but it is still the only film of the decade that I literally stood up and applauded for at the end. For those who hadn't seen it yet, here is the very striking first poster for Steven Soderbergh's upcoming film The Girlfriend Experience. I am greatly anticipating the film and am continually impressed by the way Soderbergh manages to consistently balance his more high profile mainstream work with these smaller scaled projects...and by the way he manages to make both seem very personal. 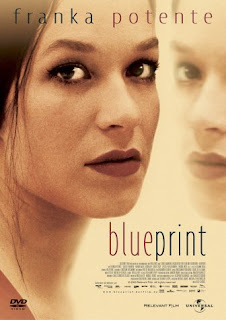 Thought provoking, consistently inventive and at times haunting, Rolf Schubel’s 2003 drama Blueprint is one of the most engaging German films of the decade, and its current unreleased status in the United States is extremely unfortunate. Starring a knockout Franks Potente in a stirring double performance as mother and daughter, the set in the near future Blueprint tells the tale of the first human clone and it is the kind of smart science fiction film rarely seen in these days of CGI spectacles and bloated big-studio efforts. The acclaimed and multi-award winning Schubel has been working steadily in German film and television since the early seventies. He is probably best known for 1999’s Gloomy Sunday, an award winning production released in the States as The Piano Player. Schubel has a really nice subdued and thoughtful style about him, and these qualities are on fine display in Blueprint, a carefully plotted and intriguing item that looks at the consequences of a man and woman each attempting to play God. Working from a novel by Charlotte Kerner, screenwriter Claus Cornelius Fischer weaves a potent and heartfelt tale that works as a realistic future thriller, a family drama and a potent coming of age picture. Bristling with grounded dialogue and elatable human situations, Blueprint feels like the work of a very mature and experienced writer. The fact that it is actually just the second feature from the pen of Fischer makes it all the more remarkable. Schubel surrounds himself with behind the scenes artists that he has worked with before including composer Detlef Peterson and cinematographer Holly Fink, both of whom deliver fine work for the director here. The whole production has a real classy and well-proportioned feel about it, even though at times it comes across as a bit too calculated. "Of course you are always asking yourself whether you can pull it off. It’s as though the acting process were doubled. It’s not just a question of letting yourself go and taking on another’s personality, but taking on more than one personality at the same time. The copy of a copy. So... who knows? That is what attracted me. I loved the screenplay right away. For me, this was an experiment, a calculated risk I ran together with Rolf, Heike and the rest of the cast and crew." While it is Franka’s show all the way, Schubel surrounds her with a talented cast of German actors including terrific Ulrich Thomsen and Katja Studt. Everyone in fact delivers fine work in the film with special notice going to young Karoline Teska as the teenage Siri. If Blueprint suffers at all, it is from perhaps an over earnestness, although honestly it was so refreshing seeing a modern Science Fiction film that didn’t fall back on million dollar effects that I can forgive its perhaps too somber tone. It stands, along with Soderberg’s Solaris, Vinterberg’s It’s All About Love, and Cuaron’s Children of Men, as one of the most successful Science Fiction films of the decade dealing directly with the human condition. If it finally isn’t the masterworks those pictures are, it is at least worthy of being mentioned in the same breath. After being shot in both Germany and Canada throughout the early part of 2003, Blueprint hit German screens just before Christmas in 2003. It played there and in various European spots throughout early 2004 before landing in Cannes in the summer where it failed to land a distribution deal for the States. The brave film, which spans a quarter of a century in its under two hour running time, is currently available on DVD in Europe. Thankfully the disc does have optional English subtitles, making it a nice grab for any American Franka Potente or modern Science Fiction fans who are willing to track a copy down.